Fred Schaubroeck, 71, of Sweeny, passed from this life on Monday, January 28, 2019. He was born on May 25, 1947 in Cedar Rapids, Iowa to Harold and Garnet (Franks) Schaubroeck. Fred was a member of the Knights of Columbus Council #8548 and a 4th Degree Member Assembly #1120. 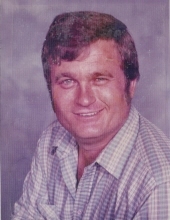 He enjoyed drag racing, western movies, and spending time with his grandchildren and family. Funeral mass will be held 10:00 am Saturday, February 2, 2019 at St. John the Apostle Catholic Church in West Columbia with Father Daniel Baguio officiating. Burial will follow at Sweeny Cemetery. Visitation will be Friday, February 1, 2019 from 6:00 pm until 7:00 pm, with the rosary being recited at 7:00 pm, at Baker Funeral Home in West Columbia. Fred is survived by his wife, Lisa Schaubroeck; son, Travis Wayne Schaubroeck; daughters, Rebecca Anne Gregory and husband, Matthew, and Veronica Lynn Brimage and husband, Jared; mother, Garnet Franks Schaubroeck; brother, Gaylen Schaubroeck; sister, Debra Jones and husband, Mike; grandchildren, Bryan Schaubroeck, Zachary Schaubroeck, Eric Gregory, Lillie Gregory, Lane Brimage, and Casidee Brimage; great-grandchild, Maddox Schaubroeck; along with numerous nieces and nephews. He is preceded in death by his father, Harold Henry Schaubroeck, and sister-in-law, Dee Schaubroeck. To plant a tree in memory of Fredrick Wayne Schaubroeck, please visit our Tribute Store. "Email Address" would like to share the life celebration of Fredrick Wayne Schaubroeck. Click on the "link" to go to share a favorite memory or leave a condolence message for the family.